This article is part of a series. You can read Rabbi Rosensweig’s response, Rabbi Klapper’s response and Rabbi Katz’s responses to Rabbi Klapper and Rabbi Rosensweig. You asked for my opinion on Rabbis Dov and Aryeh Frimer’s (shlita) article, that is, the sixty-page article in which they argue that, mei’ikar hadin, (according to the law, strictly speaking), it is forbidden for women to be called up to the Torah, recite the blessings on the Torah, and read from it. (The article is actually 171 pages long; sixty in which the authors lay out their argument, and the remaining 110 containing references and footnotes.) The article was written in English and published in Tradition. They subsequently translated it into Hebrew. Learned rabbis and scholars have already debated the topic at length (see footnotes 23–27, in which the authors review the relevant body of literature). As I have said to you on many occasions, I side with those who permit this practice. It is perfectly clear to me that, mei’ikar hadin, women are permitted to participate in the wonderful mitzvah of reading the Torah in synagogue. Within the framework of congregational worship, they are permitted to be called to the Torah, to praise the Giver of the Torah, to say the blessings before and after the reading, and to read from the Torah scroll on behalf of the community. Since the issue has already been explored and there is little new to add to the discussion, and because of my heavy responsibilities towards students and community members, I will not get into the thick of the topic at this time. I will only summarize the opinion of those who permit this practice, offering some additional explanations, and clarify why I believe the Frimer brothers’ (shlita) views are incorrect. I will not tire you with a plethora of references. The Frimer brothers (shlita) have already done a wonderful and impressive work in their review of sources (they are the “Mari Hati” of our generation, “Sinai” of “much . . . erudition,” see Horayot 14a, Berachot 64a, and Rashi ad loc.). They have, to quote Michah (4:12), “gathered as the sheaves to the threshing floor” many of the words of the poskim who dealt with the matter, so there is no need to duplicate their work here. By the way, as you may know, the Gaon Rabbi Herschel Schachter (shlita) has also addressed the issue and harshly criticized those who permit this practice. He addressed the question from an entirely different perspective. In his opinion, women’s congregational Torah reading is problematic from a philosophical point of view, not a halachic one: it conflicts with the fundamentals of Judaism established by the Sages. He believes that attempts to allow women to participate in synagogue rituals betray external influences that the Sages attributed to Christians and Sadducees. Some time ago I wrote a detailed teshuvah in which I responded to his criticism. The article is, to quote Nahum (2:11), “empty, void, and waste”. It is built on incorrect premises and unsupported assumptions. I will list them one by one, and may it be God’s will that the shechinah will come to rest on this endeavor. I should emphasize right away that the Frimer brothers’ (shlita) contribution to the discussion on women’s congregational Torah reading is methodological and not conceptual. They do not put forward any halachic innovation or or any new claim that escaped the poskim. The content of their essay is known to anyone who studies the Talmud, the Rishonim, the Aharonim, and the super-commentaries of the Shulhan Aruch that deal with this subject. They have a unique and innovative approach to pesikah (rabbinic adjudication) that is incorrect, and that great poskim warned against. (In short, they treat pesak halachah according to the method of “Sinai”, basing their ruling on quantitative adjudication rather than conceptual argumentation. Such an approach stands in total opposition to the method of rabbinic adjudication that has been accepted for generations, that of oker harim, according to which a ruling is decided by an evaluation of the opinions, not by their classification. I will elucidate this distinction below.) Because of their novel approach, they come to the conclusion that it is forbidden, mei’ikar hadin, for women to take part in the “commandment” of congregational Torah reading, whether as recipients of an aliyah or as readers. In my opinion, there are fundamental problems with this approach: it stands in opposition to some of the norms of halachic ruling, and it is built on faulty assumptions. The question of women’s aliyot revolves around two axes: theoretical and practical. On the one hand, one must consider whether, mei’ikar hadin, it is permissible for women to be called up to the Torah, to read from it, and to recite the Torah blessings. On the other hand, one must take into account secondary, practical considerations (which are also subject to halachic debate) relating to the dignity of the community, on the basis of which one may wish to avoid calling up women to the Torah or allowing them to read from it. Our Rabbis taught: Anyone can be counted as one of the seven prescribed readers, even a minor and even a woman. But the Sages said (aval amru hachamim): A woman should not read from the Torah, because of the dignity of the community. And anyone can be counted as one of the seven prescribed readers, even a minor and even a woman. We, however, do not bring a woman to read to the public. The differences in language between the Beraita in Megilah and the Tosefta are few, but significant. We will discuss them below. Virtually all the poskim thus far have focused on the practical dimension of the question, whether we should prevent women from being called up to the Torah because it violates the principle of the dignity of the community. The two most popular and succinct treatments of the issue come from Rabbi Mendel Shapiro and the Gaon Rabbi Daniel Sperber (see footnotes 23–27 in the Frimer brothers’ essay). Both of them argue that nowadays there is no reason to prevent women from receiving an aliyah or reading from the Torah. Rabbi Mendel Shapiro demonstrates that congregational Torah reading for women does not constitute an offense to the dignity of the community since women’s social standing has changed since the Mishnaic period. In his opinion, such offense can only occur when performed by women whose social standing is inferior to that of men. He also posits that the principle of the dignity of the community can be waived. Men who willingly participate in partnership minyanim, in which women receive aliyot and read from the Torah, do not view such practices as offensive or undignified, and therefore effectively waive the principle of the dignity of the community. This is, more or less, the approach of a majority of the poskim who have addressed this issue. Each one tries to prove in one way or another why the concern with the dignity of the community no longer seems justified. Even those who forbid the practice of congregational Torah reading for women focus primarily on the practical side. In their opinion, the root of the problem with partnership minyanim is that calling women up to the Torah still constitutes a violation of the principle of the dignity of the community. And even though social norms have changed, the prohibition remains; since the Sages prohibited it, it is permanently prohibited. Hence in their view, even if the reason is no longer relevant and there is no longer any concern about offending the dignity of the community, the prohibition should remain in effect. They, of course, interpret the advice against women receiving aliyot as a rabbinic “prohibition”, despite the fact that the language is not that of a prohibition at all, but rather that of good, sound advice. “But the Sages said that a woman should not read from the Torah” means that they advised against it, not that they forbade it. When the Sages wanted to forbid something, they explicitly stated, “But the Sages said it is forbidden to do so” (see Yoma 69a, Beitzah 14b, Tamid 27b, and Nidah 30a, 67b). Regarding congregational Torah reading for women it only says, “But they said . . . they should not” (lo), with the omission of the word “forbidden”. It is clear that this was done intentionally, that the Sages carefully chose their words here to reflect the fact that this is merely a recommendation. They did not forbid women from reading or being called up; they just recommended that we avoid it: it is better not to do it, but from a purely halachic perspective, it is permitted. The language of the Tosefta I mentioned above is even more precise than the Beraita in Megilah. According to the Tosefta, the law is that women “are not brought to read in public”. That is, if they are outside of the synagogue, they are not called up. It would seem that we can learn from this that it is permissible to call up women who are already inside the precincts of the synagogue. The offense to the dignity of the community occurs because there is not a single man inside the synagogue itself who is fit to read from the Torah. The community therefore needs to bring a woman from outside instead. As a result, the community appears inferior and disinterested. We can learn from this that if the woman is already inside the precints of the synagogue, according to the Tosefta, she may be called up and read. It is reasonable to assume that the language of the Tosefta reflects an historical reality. Women were not used to praying in synagogue (they would sometimes visit the synagogue area (see Avodah Zarah 38a; Yerushalmi, Sotah, ch. 1, halachah 4) but not take part in congregational prayer). Therefore, if they wanted a woman to be called up to the Torah or to read from it, they would need to bring her in from outside. If this is correct, it becomes obvious why the Sages saw women’s Torah reading as such a big offense to the dignity of the community. A woman who reads from the Torah in this context exposes the fact that none of the men present in synagogue can do it themselves. Moreover, it demonstrates the fact that the only reader available is a woman from outside, who is not part of the community. It is indeed an offense to the community; the community as a whole cannot read, and one who is not a member needs to read for them. It would therefore seem that the Beraita (“A woman should not read”) merely paraphrases the Tosefta, and that, there too, the Sages’ discomfort derives from the fact that the community needs to bring a woman in. Hence their words, “A woman cannot read”, that is, a woman from outside the synagogue, because women are not found inside among the members of the congregation. Rather the matter is simple, because the Sages made the takanah this way due to their concern for the dignity of the community, and the community does not have the power to waive it. And further, if they did, all of these takanot of the Sages involving the dignity of the community, such as not rolling the Torah scroll in public (Yoma 60a, Sotah 41a); not allowing a woman to read (Megilah 23a); and not allowing a person whose legs are exposed to raise his hands and bless (ibid., 24a) — for it is a denigration to the community, as is a minor raising his hands to bless (ibid. ), since the dignity of the community cannot be subordinate to his blessing — if you say that they are allowed to waive their dignity, then the takanot would not have helped at all, because every community would waive it. And further, the Jewish people would become balkanized, this community waiving their dignity and this community not. Rather, it is surely not in their power to give up their dignity and uproot the Sages’ ruling. In his opinion, something that was prohibited to preserve the dignity of the community remains forever prohibited for three reasons: 1) It is a takanah of the Sages. When the Sages set out to prevent something in order to preserve the dignity of the community, it means that they decreed against it, forbading the community to do otherwise. 2) If it is possible to waive something that was prohibited to preserve the dignity of the community, “then the takanot would not have helped at all . . . every community would waive its dignity”; 3) If one community would waive its dignity and another would not, the people would be balkanized. The customs of the different communities would end up diverging, and it is forbidden for the Jewish people to allow such divisions to arise. The customs of different communities must remain consistent. Using the Ba”h as a source against women’s congregational Torah reading is problematic for several reasons. First, in the Ba”h’s opinion, prohibitions intended to preserve the dignity of the community carry the weight of a takanah, and for that reason, it is impossible to disregard them even if the rationale behind them is no longer relevant. This argument, however, is not clear at all. What is his source for saying that things that were stated in the form of advice are in fact prohibited? From the simple language of the text, it would seem that they are not prohibited at all. The Sages only “advised” that we avoid these practices when they constitute an offense to the dignity of the community; they did not issue a takanah. There is therefore no takanah here that would remain in force even when its rationale no longer applies. Those who cite the Ba”h on the issue at hand also make a conceptual error about those who permit congregational Torah reading for women, an error that emerges continuously in discussions on the subject. They believe that, according to those who permit the practice, congregational Torah reading for women in our day and age still presents an offense to the dignity of the community, and that those who permit it rely on the fact that the community of men willingly waives its dignity. If this was correct, it would indeed be justified to question whether it is permissible for a community to waive its dignity in situations where the Sages advised against it. But this is actually a mistake. Those who permit this practice do not rely on the community’s willingness to “waive its dignity”. Rather, they believe it is no longer an offense to the dignity of the community at all, and the advice of the Sages is simply no longer relevant. Congregational Torah reading for women was an offense to the dignity of the community in the days of the Sages, when women’s social standing was indeed inferior to men’s. In those days, it was considered an offense and an act of contempt towards the community of men for a woman to read the Torah: it implied that the men were not inclined or capable to do so, and that a woman, whose social standing was inferior, needed to read for them. In our day and age, this is simply no longer true. Women and men have equal status; no one claims that women are inferior. If the community is willing, or even happy, for a woman to read on its behalf, this no longer constitutes an offense to its dignity. In other words, the community is not “waiving” its dignity; rather, the offense is no longer felt; it is no longer offensive for a woman to read from the Torah. Therefore, even if we accept the Ba”h’s statement, according to which we may not waive our dignity with regard to practices that were prohibited out of concern for the dignity of the community, his words remain irrelevant to the matter at hand. If we are correct in thinking that nowadays the concern for preserving the dignity of the community is no longer relevant, then the last claim of the Ba”h is also neutralized. It is unhelpful, in his opinion, for a community to waive its dignity because some other communities will not act in the same way, and the Jewish people will become balkanized. As stated above, this claim is no longer relevant since we are not talking about “waiving” the community’s dignity. The communities that allow women to receive aliyot do not consider such practices dishonorable or undignified. Their decision does not violate the prohibition against diverging from the customs of all other Jewish communities. Since congregational Torah reading for women is no longer deemed offensive in any context, because the status of women is now equal to that of men, a community that allows such a practice to take place simply realizes something that is potentially acceptable for all other communities. Hence the fear of balkanization does not apply to this situation. Therefore, even if the Ba”h is right in principle, and the prohibition against balkanization should prevent a community from willingly relinquishing that which other communities wish to maintain, such a prohibition no longer applies nowadays. Unfortunately, we are already balkanized; synagogues are already an isolated platform. It is therefore unconvincing to cite the Ba”h’s opinion as a source for prohibiting women to be called up to the Torah. His words are not clear, and even if we accept them as they are, they do not seem relevant to the matter at hand. He deals with the possiblity of waiving the dignity of the community, which is not what we are discussing. The debate over congregational Torah reading for women is about a changed reality, one in which men do not necessarily have to waive their dignity and the concern with balkanization is no longer relevant. As a matter of fact, the very same halachah that the Ba”h discusses also constitutes an undeniable proof in favor of congregational Torah reading for women. The halachah (Hulin 24b; Rambam, Hilchos tefilah 8:11; Shulhan Aruch, Orah hayim, siman 53, seif 6) states that we cannot appoint as a prayer leader one who does not have a full beard; only an adult with a beard can serve as the prayer leader. According to this halachah, it is an offense to the dignity of the community to appoint a young prayer leader who does not have a beard. This halachah is not in effect at all today. Young people who do not grow their beards lead services in front of the Ark on a daily basis (and not just by chance; see the Shulhan Aruch, ibid. ), and people are neither offended by it nor do they object to it. Presumably, the reason is that the way we view young people has changed since the days of the Sages. At the time, it was indeed an offense to the dignity of the community for a minor to stand before the Ark, and therefore, the Sages advised against it. Today, however, the situation has changed. Adults no longer see a minor standing before the Ark as an offense to their dignity, and because the reality has changed, the Sages’ advice is no longer relevant. In the end, it is important to note that not all of the poskim agree with the Ba”h. The Pri Hadash (Orah hayim, siman 53, seif 6) cites the Beit Yosef (section 143), who refers to the words of Rabeinu Yerucham (netiv 2, part 3:20, a) according to whom a community can actually waive its dignity. This is also stated explicitly in Mordechai (Menahot, remez 968). Today this is the reality. The discussion focuses on the practical side of the issue of congregational Torah reading for women, the concern with the dignity of the community. The poskim of our generation argue about whether there is still halachic validity in the Sages’ advice against women receiving aliyot in order to avoid offending the men. To anyone paying attention to these discussions, it is striking that halachic authorities rarely find it worth talking about the issue from the perspective of ikar hadin. The question of whether mei’ikar hadin it is permissible for women to be called up to and read from the Torah is almost never raised, because there is not really much room for discussion: the Gemara and the Shulhan Aruch state explicitly, without hesitation, that mei’ikar hadin women can be called up to the Torah, recite the blessings, and read from the scroll. The Frimer brothers’ (shlita) article is the first to deal seriously and at length with the halachic side of the question. While they do tackle the practical side, their primary focus is on halachah. Their goal is to revolutionize our understanding of the question and prove that it is problematic mei’ikar hadin to permit women to be called up to the Torah, and that such practices are invalid. Their claim is incredibly problematic and essentially incorrect because it explicitly contradicts the plain meaning of the words of the Sages, the Rishonim, and the poskim. As we mentioned, the Gemara in Megilah states explicitly that a woman can be called up and can read, and that there is no halachic problem with this whatsoever. Even though the Gemara only says that a woman can be called up to the Torah, the meaning is that she can also read from it, for in the time of the Sages, the person who was called to the Torah also read from it. Only later, in the time of the Geonim, was it decreed that one person would read for everyone. Therefore, when the Gemara says “Anyone can be counted as one of the seven prescribed readers, even a minor and even a woman,” it means that women can receive aliyot and read from the Torah. Consequently, according to the Gemara, the only problem with congregational Torah reading for women is the dignity of the community, but if we momentarily put this concern aside and discuss the issue from a halachic perspective, it is clear beyond any doubt from the words of the Beraita that it is absolutely permissible. The words of the Gemara were quoted in their entirety and were adjudicated in the Shulhan Aruch (Orah hayim, siman 282, seif 3). It is crystal clear that the Mehaber, along with the Beraita and the Tosefta, believes that from a purely halachic standpoint there is no reason to prevent women from being called up to the Torah, recite the blessings, or read from it. It is true that there are opinions among the Rishonim (see Meiri, Megilah 23a, yesh mi shemifaresh; Tosafot, Rosh Hashanah 33a, s.v. hoh) which sought to limit the law to the middle aliyot, arguing that the law refers to an earlier reality that was in place before the takanah, according to which those being called up would not recite the blessings on the middle aliyot. According to these views, the Gemara allows women to be called up to the Torah but not to recite its blessings before and after the reading. But Rabeinu Tam already overruled these opinions (in Tosafot, Rosh Hashanah, ibid.) and wrote, “Because the language of the Gemara is ‘We call up the seven’ [emphasis added], it means even at the end of the seven aliyot”, meaning that the Gemara permits calling up women even for the last aliyah, which always had a blessing associated with it. We must therefore come to the conclusion that a woman can be called up and recite the blessing. At first glance, this law seems strange. 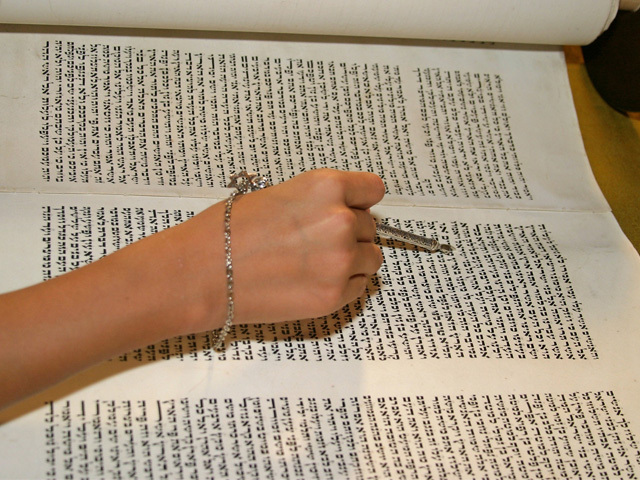 How can women be called up to the Torah and read from it? Torah reading is a positive, time-bound commandment that women are exempt from. The following questions therefore seem relevant: How can they recite a blessing when called up to the Torah? How can they read from the Torah and be motzi the rest of the community – acquit them from their obligation? The blessing, it would seem, might be considered a beracha levatalah (a blessing recited in vain), and the reading would consequently be of no avail either to them or to the community. This peculiarity rests on a few assumptions: 1) that reading the Torah is a “commandment”; 2) that the blessings of the Torah are commandment blessings; and 3) that reading the Torah is a commandment that is not incumbent upon women. The Gemara and the halachah ignore all of these and rule that women can be called up and read from the Torah. We must therefore conclude that the above assumptions are incorrect. There are two approaches to this conundrum in the responsa and pesikah literature. The more novel one is that of the Magen Avraham (Orah hayim, siman 282, seif katan 6). In his opinion, the reason that women are allowed to be called up, recite the blessings, read from the Torah, and be motzi the congregation is due to the fact that the commandment of Torah reading is incumbent upon them just as it is upon men: “And even though Torah reading was established with talmud torah in mind and women are not obligated in talmud torah, nevertheless it is a commandment to hear, just like the commandment of hakhel that women and children are obligated in.” He argues that the source of the commandment to read the Torah on Shabbat derives from the commandment of hakhel; reading the Torah every Shabbat is a miniature reproduction of hakhel. Since women were full participants in the hakhel ceremony and were obligated to participate and pay attention to the king’s reading, so too here they are obligated in the commandment of reading the Torah, and their obligation is equal to that of men. They can therefore be called up, recite the blessings, and be motzi the community. The second approach goes in the opposite direction. Those who adopt it argue that women can be called up, read from the Torah, and recite the blessings even though it is a positive, time-bound commandment not incumbent upon women. They suggest instead that women can take an active part in Torah reading because the commandment is not one which is incumbent upon the individual, but rather, one which applies to the community. The community as a collective is commanded to ensure that the Torah is read every Shabbat; the individual, however, has no obligation to read it. When the seven readers are called up to the Torah, therefore, they do so as individuals who are part of the community but not as representatives of the community. They do not legally represent the community, and they are not motzi anyone. Torah reading is, according to this approach, a special type of commandment, one in which even women or minors, in spite of their exemption, can take part. Hence a woman can be called up to the Torah because the commandment of Torah reading is different from other commandments. This is also why they can recite the blessings upon receiving their aliyot, since these are also different from the blessings recited when fulfilling commandments. Even though they are said upon fulfilling a mitzvah, they are not commandment blessings, but a different kind of blessing, one that women who are being called up can also recite. As is well known, Rabeinu Tam was the first to distinguish between the blessings recited upon receiving an aliyah and all other blessings. Tosafot quotes him as saying (Rosh Hashanah 33a, s.v. hoh; Eiruvin 66a, s.v. dilma) that even though women are forbidden from reciting blessings on positive, time-bound commandments, and are also not obligated in the commandment of learning Torah, they are nonetheless permitted to recite the blessings on the Torah because “the blessings before and after Torah reading are not related to [the commandment] of learning Torah.” The blessings which accompany Torah reading are not, in Rabeinu Tam’s opinion, typical commandment blessings, and are therefore not subject to the regular rules concerning commandment blessings. With regard to the discussion at hand, the implication is that those who are exempt from the obligation of Torah reading, such as women or minors, can nonetheless say these blessings. Rabeinu Tam emphasizes that these blessings are not typical commandment blessings. He does not, however, explain what exactly they are. Another version of this approach postulates that the blessings recited upon receiving an aliyah are different in essence from all other blessings. A famous version of this is quoted in the name of Rabbi Hayim Soloveitchik (z”l) by his student, the Gaon Rabbi Aryeh Pomeranchik (Emek beracha, p. 46). In his opinion, the Torah blessings are a new type of blessing. They are neither commandment blessings, nor praise blessings, nor blessings on the senses, but rather, blessings on the Torah in and of itself. The person reciting them is blessing the Lord for the existence of the Torah, not the existence of a commandment to learn Torah. According to this understanding, like that of Rabeinu Tam, it is obvious that, even though women are exempt from the obligation to learn Torah, they can say these blessings because they are blessings on the Torah itself and not on the commandment to read it. The Yerushalmi (ch. 4, halachah 1) gives a different reason for the change in custom. It argues that each reader says a blessing “Lest the Torah be made bald”. The Korban Ha’edah explains (s.v., korchot korchot, and s.v., korchot) “that the words of Torah appear bald without a blessing; from the language of bekarahto oh begabahto” (Vayikra 13:55). Either way, the Bavli and the Yerushalmi agree that this is a special kind of blessing, different from all other blessings which we are familiar with. It is neither a commandment blessing, nor a blessing over the senses, nor a praise blessing. Its purpose is secondary and social. The Sages established that each of the seven readers should recite a blessing to prevent a deficiency, either for the Torah (according to the Yerushalmi) or for the congregants (according to the Bavli). Either way, it is clear that the blessings are not typical blessings. They have a special communal function. They are not blessings on, but rather blessings for. If what I am suggesting is correct, there is no reason to prevent women from reciting them. The blessings of women can prevent the deficiencies that would arise when reading from the Torah without a blessing just as those of men. There is an even bigger hidush in the Yerushalmi (ibid. ): the middle blessings were not the only ones established for secondary reasons. Even when only the first and last readers recited a blessing, this too was for a secondary reason, and not mei’ikar hadin. The Yerushalmi, seeking an explanation and a source for the blessing, says: “Rav Aba Mari, the brother of Rav Yosa, said: they made it like all the other commandments that are in the Torah, just as all the others require a blessing, so too does this require a blessing.” A careful reading of the text makes it clear that the reading is not actually a commandment. Mei’ikar hadin, those being called up should not have to say the blessing, but the Sages chose to make them recite one because of secondary considerations: so that they could perform the reading of the Torah like all the other commandments — like the other commandments, but not really as a commandment. Again, if the blessings are not typical blessings and were established for secondary and social reasons, there is no reason to discriminate between men and women reciting them. The Sages instituted that those being called up to the Torah should say a blessing for special reasons. These are achieved even if women are saying the blessings. It is a mistake to think that every blessing should be placed in existing categories. It is true that almost all of the blessings that we say are defined as one of three types: commandment blessings, praise blessings, or blessings over the senses. But this does not mean that there are no exceptions. On some occasions, we encounter a blessing that does not fit into any of these categories. Instead of forcing it to do so, we need to accept that it is a special, independent type of blessing, which obeys special rules. This is one of the Frimer brothers’ (shlita) fundamental errors. They seem unable to accept the fact that the whole process of Torah reading — calling up, reading, and blessing — is somehow different and special. The reading of the Torah and the recitation of its blessings are a special, unique kind of commandment. These blessings are exceptional and atypical, and it is a mistake to try and fit them into existing categories. The reading of the Torah is a type of commandment that has no parallel among the other commandments. It is different and special. Their approach also leads to a fundamentally mistaken understanding of the Aharonim, particularly the scholarly volumes that are neither halachah nor responsa. Such volumes deal with definitions; their goal is to define and categorize each law, commandment, or blessing. From a pedagogical perspective this is a positive and even crucial endeavor, since without definitions it is difficult to understand an idea or a halachic concept. A definition enables a student to argue, delve into, and improve his or her understanding of the subject. But scholarship is one thing and halachic ruling is another. The Frimer brothers (shlita) — mistakenly — used both terms interchangeably. Not every scholarly conjecture becomes law. The definitions of a scholar serve as assumptions, advice, and pedagogical tools, but they are not automatically considered halachic rulings. To summarize, those people who want to participate in a minyan in which women are called up to the Torah, read from it, and say its blessings have a sound halachic basis upon which they can rely, whether approaching the issue from a theoretical (lehalachahh), or practical (lema’aseh) perspective. Prominent Rishonim put forth a logical, halachic basis for congregational Torah reading for women. It is either a commandment that is incumbent upon women, which they are allowed to perform even on behalf of others; or it is merely a ritual rather than an obligation, for which the blessing is not on but for, and therefore mei’ikar hadin everyone can take part in it, be they men or women. The practical side of the issue also has a reasonable, well-established solution. The dignity of the community is a subjective concept that is dependent on a particular reality. At the time when the communal status of women was lower than that of men, it was considered shameful and offensive for the community (and even to God; see the Ba”h, siman 53, as noted above) to have women read from the Torah. But at a time when the difference in status no longer exists, the offense to the dignity of the community is neutralized. In short, there are strong halachic foundations for allowing women to receive aliyot, recite the blessings on the Torah, and read from the scroll. The Frimer brothers’ (shlita) article attempts to destroy these foundations. As I mentioned at the start, the Frimer brothers (shlita) adopt a unique and innovative approach, what I refer to as the quantitative, or “Sinai” method, as opposed to the more widely-accepted, conceptual oker harim method (see Berachot 64a and Horayot 14a). In other words, they do not use reason to refute the arguments listed above. Over the course of sixty pages in the English version of their article and thirty-nine pages in the Hebrew version, they do not raise a single argument or conceptual refutation against these views. Instead, they recommend an alternative approach for understanding the halachic structure of congregational Torah reading. In doing so, they completely miss the correct halachic approach. Their attempt to prove that their approach is correct is built on a quantitative method of halachic ruling. They effectively claim to have studied everything that has ever been written by poskim on the subject of women’s aliyot. Having done so, they classified the opinions, counted them, and reached their conclusion on the basis of the opinion of the majority. According to their census, therefore, the majority of poskim holds that it is forbidden for women to be called up, to read from the Torah, and to say its blessings. It is important to note that the majority they rely upon by adopting their methodology is accidental; it is not a unified or integrated majority. In other words, they were not able to find a majority that explictly rules that congregational Torah reading for women is forbidden. They simply collected and juxtaposed the opinions of poskim on different subjects. This alone is highly problematic (See the Maharik, shorashim 41, 52; Maharit, Yoreh de’ah, part 2, siman 9; Rama, Hoshen mishpat, siman 25, seif 2, and in the super-commentaries there; and the “halachah” entry in the Encyclopedia Talmudit). To rule on the basis of the majority opinion among all the sources implies that the posek has indeed seen everything that has ever been said or written on the topic. This is impossible. It is clear that the Frimer brothers missed, for various reasons, many sources on the subject. They might have missed a book, or a book might have gone out of print. The moment such a possibility arises, their entire claim is invalidated. If we are searching for a majority, is it not possible that those poskim which escaped their attention might have swayed the ruling towards the opposite side? Second, even if we reached our conclusion only by relying on the poskim whose views are available to us, it is not clear where each of them stands. Does anyone who expressed an opinion on the subject get equal standing? The Sefer Hahinuch (mitzvah 76) explicitly states that the views of the poskim should not be treated equally. He writes, “And the choice of the majority assumes that the disagreeing parties have equal Torah knowledge, for a minority group of Sages must be able to decide against a majority of ignoramuses, even if the latter are as numerous as those who left Egypt. But with equal knowledge, the Torah is informing us that a majority of opinions will always converge on the truth more frequently than the minority.” See also the Minhas Hinuch ad loc., who cites Hazal as an explicit source for the Sefer Hahinuch’s hidush. The Gemara in Yevamot (14a) says, “Beit Shamai followed their words even though Beit Hillel were the majority. When do we follow the majority? Only when the disputants are equal. Here, however, Beit Shamai were sharper.” The Minhas Hinuch concludes, “the words of the Rav, the Mehaber, are clear [we only follow the majority when both sides are of equal status].” The editor (Machon Yerushalayim edition) also notes that Rabbi Hai Gaon (quoted by the Ramban at the end of ch. 3 of Sanhedrin) agrees with the Sefer Hahinuch. The Ramban also agrees (ibid.) with Rabbi Hai’s opinion. (For more on this, see the “halachah” entry in Encyclopedia Talmudit). It is also unclear whether the authority of a Rishon is equal to that of an Aharon; or whether a posek has the same standing as a scholar. Can an unknown posek be treated equally to one who is revered and famous? Further, how do we consider a posek who only quotes the opinion of poskim who came before him? (See the responsa Hasam Sofer, Orah hayim, siman 164, which tries to establish some standards for when the opinion of the one quoting is considered an additional opinion and when it is not.) How do we treat poskim who did not express an opinion on the subject? Their silence is surely an admission, but an admission of what? Are they siding with those who allow congregational Torah reading for women or those who forbid it? With the lenient opinion, or with the stringent one? The Frimer brothers (shlita) approached the subject with exaggerated egalitarianism. They gave equal halachic weight and validity to anyone who expressed an opinion on the matter of congregational Torah reading for women. This is a flawed approach which betrays an inadequate understanding of pesak halachah. Their inability to classify the opinions of poskim undercuts their conclusions, so much so that these have no bearing. Their approach is flawed and baseless, and violates the basics of halachah. Indeed, prominent Rishonim and Aharonim expressed opinions that are diametrically opposed to it. We learn about adjudication by reference to the majority from the functioning of the Sanhedrin and the courts. A majority in the Sanhedrin is not a straightforward numerical majority, but rather an abslute majority. The disputants would discuss an issue, every side heard the opposing side’s claims, they would argue, and then they would try to persuade one another. When an absolute majority emerged, they would count and conclude, and the minority would accept the opinion of the majority, such that the ruling was given by everyone. The Frimer brothers (shlita), however, counted the opinions of poskim who never saw or argued with one another and did not bring arguments in favor of either side. This is a mistake. This kind of numerical majority does not count as a halachic majority, as we will demonstrate by referring to the Rishonim and Aharonim below. Question: Reuven and Shimon agreed to follow the judgment of ten men, regardless of the outcome. They both swore to fulfill whatever would be decreed by the ten, and if these men would not be of one opinion they would follow the majority as in a Torah judgment. In the meantime, one of the ten men left; he did not want to be with them in the deliberations and did not give his opinion on the matter. Is Reuven obligated to accept what the nine remaining men, or a majority of them, decree? Answer: It is clear that, since one of them went away, the bond was broken, and even if he had just said “I do not know”, you cannot reach a conclusion on the basis of the nine remaining. For we do not follow the majority unless the majority are for acquittal over conviction, or conviction over acquittal, through negotiations with everyone, but when the minority opinion is not present, then we do not adjudicate based on the opinion of the majority. For if the missing opinion had been there he might have argued the opposite of what the majority believed, and the majority might have been persuaded. [emphasis added] And therefore, when the individual says “I do not know”, like in the Mishna (Sanhedrin 29a), even if two want to convict or acquit and one says “I do not know”, they should add judges. Likewise, if one disappears, the two remaining cannot adjudicate. As they said in the chapter of Zeh borer (Sanhedrin 30a), they gave the verdict in writing. How is it written? “Rabbi Yochanan said “So-and-so is not liable, etc” . . . What is the difference between them? etc.,” until, “But according to the opinion that the verdict reads “he is not liable,” if the ruling was overturned, the incriminating judges have to compensate the wrongly accused party? Let them tell the dissenting judge, “Had you not been on the court with us, no judgment could have been reached!” This approach is true regardless if the judges adjudicate or they arbitrate. For it does not make a difference, there is no majority in any event other than a majority that comes from the collective and from negotiation. But a majority that is separate from the collective that adjudicates or arbitrates by itself, without deliberating with the entire court, or outside of the presence of the entire court, has done nothing. The Beit Yosef (Yoreh de’ah, siman 228) quotes another responsum of Rashba that makes the same point. See also the Sedei Hemed, section yud, klal 35, who cites more poskim who agree with the Rashba. We follow the majority from the Torah only when the two parties discussed the law together face to face. This is when it was said that we incline towards the majority, but if they did not engage in discussion, and each simply wrote out their own opinion as with the books of the poskim, even if a majority happens to agree with one opinion, we do not follow the majority. Because if they had actually been discussing the matter face to face, the majority might have conceded to the minority opinion. The Gaon Maharatz Hajes likewise referred to this passage in his essay Mishpat hahora’ah (ch. 4). Rather, we should be cautious of this well-established practice among recent poskim to follow the majority opinion. For who has gathered them all like sheaves to the threshing floor? And who counted them, and who knows whether one is missing? And who has seen all of the books of the poskim that were placed alongside one another, and who enumerated them? Where is the one who weighed and counted, who can discern the majority and the minority? Which opinion is more decisive on the matter? This is what is difficult to us. Moreover, in most of the places when our Rabbis of blessed memory relied upon following the majority, they had strong proofs. Question: Two scholars had a legal dispute, and one sent his opinion to some other scholars who agreed with him. Do we also say that we incline towards the majority in this situation, or not? Answer: It seems clear that this cannot be considered a majority unless all the scholars were in one place, arguing with each other in person. And according to the language of the Sages, after deliberating, those adjudicating in a collective always counted and concluded, like at the time of the Sanhedrin (they would even stand in a circle to facilitate this). But we cannot establish a majority by mere correspondence. And the advantage of sending written rulings from place to place is twofold: either to support the local scholars’ ruling, or to dissuade the litigant from soliciting a ruling from a different city in the hope of overturning it. We want to appease the mind of the winning side and make him confident in the ruling he has received, while also dissuading the losing side from attempting to solicit a second opinion. The written ruling however does not constitute a valid opinion in order to be counted and determine the outcome, since the author was not physically present. And we should not challenge what I said from the fact that the Talmud always follows the majority opinion, because that principle is only applied when all of those adjudicating were originally in the same place, articulating their opinion in person. And so with Beit Hillel and Beit Shamai, about whom it was said in the Gemara that a bat kol determined that the law was according to Beit Hillel. They too were in the same beit midrash, personally arguing with each other. This laudable practice never ended until these recent evil generations in which everyone builds an altar for himself, and the Torah has become splintered. Everyone today writes in the dark, drawing lots and stirring in the dark. But the practice of Moshe Rabeinu, may his memory be a blessing, and his students, the Rishonim, was to disscuss in person halachot that were in doubt or when they were issuing new rulings. After debating the issue they woud reach a conclusion based on the majority, and when they did follow the majority, justice would emerge. And that is what is really meant by inclining towards the majority. The practice of some poskim to follow the majority against a minority opinion, even when they deduce a majority from books, does not accord with the law of inclining towards the majority. Our practice is also to follow the opinion of the Shulhan Aruch where he might rely on the Rif and Rambam, even though many others disagree with the Shulhan Aruch. The Shach (z”l), on a number of occasions, cites poskim who contradict the Shulhan Aruch, and we still rule with the Shulhan Aruch, which would appear to mean that we are constantly ignoring the law of inclining towards the majority. Would it make sense to suggest that generations of good people have ignored the positive commandment of inclining towards the majority without objection? Rather, it is obvious that the principle of inclining towards the majority is totally irrelevant unless we are talking about legal authorities in the same place, where each one present hears the words of his fellow face to face. Nevertheless, when a posek is looking to establish halachah and he has no strong preference for one argument or another, he can legitimately rule according to a non-present majority. His decision will be “like” “inclining towards the majority” from the torah. Truth is, he would have intutivaly done that, even if the Torah never commanded a judge to incline towards the majority. He might behave this way when it comes to ordinary conversation or matters of general advice in which he has no strong opinion and is relying on the thoughts of others as well. In such situations it is better to rely on two or three opinions, rather than on one opinion. This is how the poskim in every generation and in every time and place have behaved without paying much attention to the rule of inclining towards the majority, other than as a general reference. . . . And I am reminded that, much like these words, our master, the Rabbi Yavatz, may his memory be blessed, wrote in Psak aleph that, for rulings sent from place to place, the law of inclining towards the majority is not applicable at all; it applies only when those adjudicating are all in one place at one time. His words are clear: when the posek “has no strong preference” about the matter, it is advisable to rule according to the majority, as “a general reference”. But in a situation where the poskim explicitly expressed their opinions, a majority ruling has no value. On the issue of congregational Torah reading for women, since a number of great and important poskim have ruled that it is permissible in principle for women to receive aliyot, to recite the blessings, and to read from the Torah, there is no place for a majority ruling. Such a methodology has no value at all. It is known that the majority only have power in a Beit Din, but regarding hachamim who argue and live in separate generations or in separate countries, the majority has no power over the minority. That country where most of their Torah flows from [Lithuania] one rabbi and his students and his students’ students, they all follow their rabbi even in a place where the majority disagrees. And in recent times, when certain books of our rabbis have played a dominant role in the transmission of Torah to the current generation . . . Aside from the fact that these books are not necessarily recording the majority opinion, we can no longer rely on the force of the majority, since essentially the majority is not known, because there are many hachamim whose words never made it to the printed page, and many whose books never reached our hands [which is why the law does not change when new manuscripts are published that might transform the minority into a majority]. And still, when attempting to decide against a minority with reason, the power of the numerical majority will be marshalled to persuade, but it is better in these situations to take into account the poskim whose Torah comes from all fields of the Torah . . . Even though we do not typically determine between the Rishonim based on a purely intellectual factors, it is still always dependent on an in-depth intellectual examination. This is one mistake. In addition, one may note that their approach rests on two assumptions that are inherently flawed in their own terms. Even if we took for granted their claim that the multiple opinions they surveyed crystallized into one unanimous view according to which congregational Torah reading for women should be forbidden, this would not change the fact that some individual authorities do permit the practice. Hence an individual posek may nonetheless endorse it by relying on such precedents. This is something poskim do all the time. When a posek is asked a question, one of two things can happen: 1) the matter is resolved with certainty, without anyone disputing it; in other words, all the poskim agree that the matter is either permitted or forbidden; or 2) the poskim disagree, in which case the final decision rests in the hands of the posek to whom the question was submitted. He decides based on his own determination and judgment, and by considering the implications of his decision. When a posek decides that particular circumstances require him to permit or forbid a practice, he can rule according to the minority opinion as long as he believes that this opinion can be relied upon. The same is true in our case. We who allow women to be called up to the Torah, to read from the scroll, and to recite the blessings, rule this way because, in our opinion, the authorities who permit such practices have reliable sources: it is convincing enough, despite the fact that numerous poskim disagree. In addition, those who are interested in this sort of keriat ha’torah can, as individuals, say “I hold by” (kim li) those who permit. Even though the statement “I hold by” is typically used in cases involving monetary issues, the concept is valid for ritual prohibitions as well. There is no room here to get into the details of the “I hold by” statement; the subject, as is well known, is broad, difficult, and confusing. I will simply quote a number of the great Aharonim who explicitly say that, in a situation involving a numerical majority, a person can simply say, “I hold by the lenient opinion” even if it contradicts the majority. It is said that we follow the majority, and the verse states explicity: “You shall incline towards the majority”, such that when we are deliberating on a practical issue we need to do what the Torah — as it was taught by the majority — says, and follow its instruction, whether in matters that are forbidden or in matters of dispute; whether in capital law or civil law. But if we are deliberating on laws that have not practically come before us, rather for the purpose of establishing halachah for the generations, the rule of inclining towards the majority is certainly not relevant. And in such a case, the power is in the hands of the beit din, to disagree and decide the halachah as a minority against the majority according to their opinion and considerations. One therefore has to agree with Rabbi Sasson in the teshuvah above, that, due to the fact that they never saw each other or heard each other, they cannot constitute a majority on the grounds that if he had heard the words of the opposition, perhaps he would have agreed with him and changed his position . . . And second, we do not know what the majority is because we are not well-versed enough in the opinions of the Sages of the generations and their rationales. By way of example, if we reference the opinions of the Rif and the Rambam, we have but two. Who knows how many Sages existed at the time of the Rif or the Rambam who disagreed with them and could theoretically have neutralized their opinion by making them into a minority. These opinions might never have seen the light of day due to troubles and the yoke of exile and our forced wandering for our many sins . . . This is why it was instituted that an individual posek can claim, “I hold by the minority against the majority.” He attributes this opinion to that of Rav Sasson and the Mahari ben Lev, and they established their opinion based on a tradition the Rosh had from his Rabbi, the Maharam. And in particular, the law that is mentioned in the Shulhan Aruch, where the Mehaber and Rama omitted the opinion of the individual who disagreed. I have also seen this from expert dayanim, and so I myself rule in such a way, not allowing the claim of “I hold by”, like the opinion of the disputant, in cases where the Beit Yosef and the Rama shut down any opposing opinion. The opposing opinon in such a case has no validity whatsoever, and there is no need to be concerned with it. And the Sages of the generation affirmed and accepted to follow everything that was said by the Shulhan Aruch and the Rama. The premise of following the more stringent opinion when addressing a de’oraita question is only true when one’s teacher is not present, but [if] one of the hachamim is his teacher, he follows him even when he rules lenitently. The person he is close to and listens to most of the time is the one who is considered to be his rabbi. And if there are two hachamim who are close to him, he can choose the opinion of one of them and count him as his rabbi . . . And here we are allowed to follow our rabbi, even when the latter rules leniently on a de’oraita question, even when those disagreeing with him are in the majority, as long as a beit din has not been convened and did not determine the halachah and rule against this. The Encyclopedia Talmudit (entry “halachah”, p. 256) also references the Sefer she’ilat david (Mekor beit av, essay 2, n. 1), which further develops this point. The words of these poskim are crystal clear: numbers are insufficient when establishing what is permitted and what is forbidden. Even when there are numerous poskim on one side, it is permissible for a posek to rely on other opinions. In conclusion, it is therefore clear that those praying in partnership minyanim have nothing whatsoever to be concerned about in relation to the Frimer brothers’ (shlita) teshuvah. There is no halachic issue with congregational Torah reading for women, nor any need to be concerned with kavod hatzibur, when taking part in this kind of minyan. It is permissible for women to be called up to the Torah, to read from it, and to recite its blessings. From a halachic perspective, great poskim have put forward strong arguments permitting such practices. A numerical majority that is not unified and did not directly discuss the matter has no validity, and even if it did, a posek could nonetheless rely on those authorities who permit the practice. The practical side of the question is also no longer relevant because circumstances have changed. Nowadays, no-one feels offended when a woman is called up to the Torah, and even if some members of the community remain uncomfortable with such an idea, it is an emotional offense, not a religious one. The offense to the dignity of the community discussed by the Sages concerns the religious dignity of the community, not to its emotional dignity. To conclude, I must emphasize that what I have said here relates to the halachic dimension of the question of congregational Torah reading for women. There is also a public-policy dimension to the question which requires a long and serious conversation, but this is a separate matter. It is important not to conflate the halachic and public-policy aspects of this discussion. God willing, I will address the latter dimension soon in a separate article. And with this, I conclude. On a number of occasions, they mention opinions according to which it should be permissible for a woman to be called up to the Torah, read from it, and recite its blessings. On page 13 of the Hebrew version of the article they mention the Aharonim who relied on the opinion of the Rashba according to whom Torah reading is a communal obligation, and therefore, women can also be called up ex post facto. On page 15 they mention that, according to the opinion of the Rama (Orah hayim, siman 139, seif 3), a blind man can be called up to the Torah ex post facto even though he cannot read from the scroll, because the reading is not essential, nor does it fulfill others’ obligations. Of course, if the reading is not “obligatory”, women, who are also not “under obligation”, can read from the Torah. On page 24 they bring a number of cases in which poskim explicitly allowed women to be called up ex post facto: in a city in which all inhabitants were kohanim, in a place where there were not seven literate men, when a woman whose husband was out of town gave birth, and when a woman was accidentally called up to the Torah. And here I will justify myself about one thing so that the careful reader does not suspect me; I sometimes rule leniently in situations involving great financial loss, poor people, important matters, or the honor of Shabbat. I do so because, in such cases, it seems appropriate to me to rule leniently according to the halachah, but the Aharonim z”l were stringent with it. And therefore, I wrote that in a place where it is not possible, we need to resort to the original, correct opinion, which is more lenient. This approach is consistent with both the earlier and later authorities. Hence when a posek permits something ex post facto, we must consider it permissible, and the reason to forbid it à priori is secondary and not mei’ikar hadin. It is therefore a mistake to reject all of the above opinions as irrelevant to the matter at hand. We can learn from those which allow women to be called up to the Torah ex post facto that, in their view, mei’ikar hadin, women can receive aliyot. They recommended avoiding it for secondary reaosns. As a result, each case needs to be considered independently, to assess whether those reasons are still relevant, and even if they are relevant, we should clarify their halachic validity. Since the posek forbade this behavior based on factors other than ikar hadin, we need to discuss whether it is a ruling that is applicable to his time and place alone, or one that is incumbent upon all generations. Either way, it is clear that the Frimer brothers (shlita) mistakenly reject all of the above opinions which justify Torah reading by women ex post facto. Any one of these sources could, in principle, serve as a source by which the practice would be permitted, not the opposite. I have to mention one more thing. 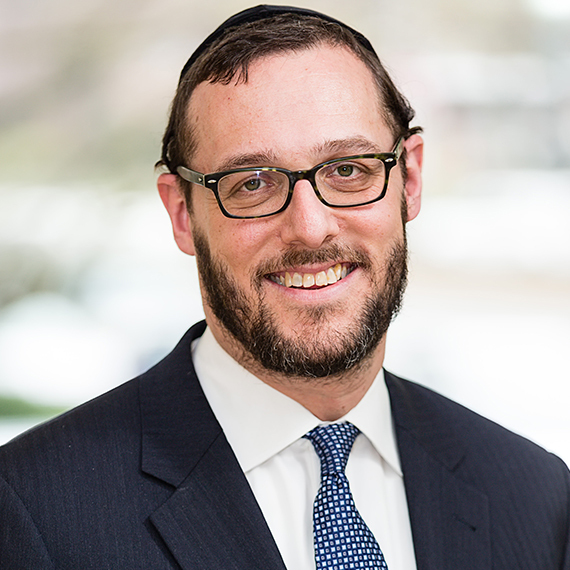 This is not the Frimer brothers’ (shlita) first article. They are experts in these sugyot. They have written about other aspects of women’s involvment in ritual practices. At times, I find it difficult to avoid noticing a certain tenditiousness in their use of sources. I will give you one example. On page 27 of the Hebrew version of their article, they say that, in addition to the reasons that they mentioned, we should also forbid women from being called up to the Torah for such is our custom, that is, because it is customary not to allow women to be called up: “We therefore come to the conclusion that, even if there were a basis for waiving the dignity of the community, the practice would still be forbidden on the basis of it violating an ancient and well-established custom” (my emphasis). This contradicts another, long article they wrote a few years ago on the subject of women’s services. There, next to footnotes 165–174, they mention a host of Aharonim who rule explicitly that a negative custom has no halachic validity, that a custom not to do something is in fact not considered a custom. It is hard to think that this is simply a mistake or an oversight. They collected, recorded, printed, and published those opinions. Yet here, in relation to women’s Torah reading, they completely ignore what they had previously written. To the superficial reader, this looks like a tendentious use of opinions, comparable to the clay in the hands of the potter, who publishes and conceals at will.